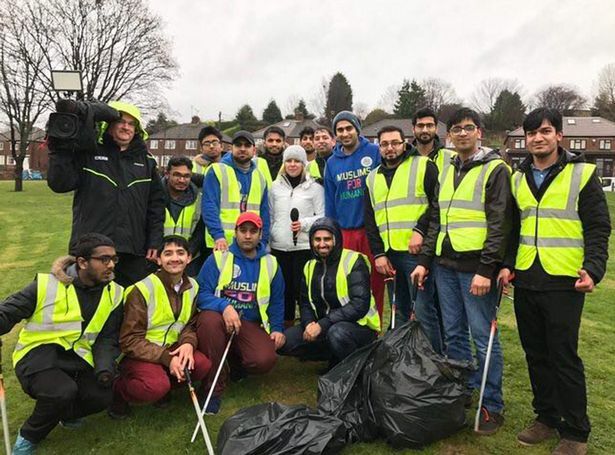 More than 100 Muslims started 2018 by cleaning up town centres across Greater Manchester.Volunteers from the Ahmadiyya Muslim Youth Association (AMYA) took to the streets in Bolton , Oldham and Manchester with bin bags and litter pickers in hand. The clean-up started immediately after morning prayer at 5am and the youngest volunteer to join the effort in Bolton was just 7-years-old. Abdul Lodhi, who is head of the national campaign and spent the day in Manchester helping the team collect rubbish, Abdul said: “It’s nice to see youngsters cleaning the streets as there is such a negative perception that they make all the mess. “It is great seeing these young guys coming out to help when they could be doing anything they want. 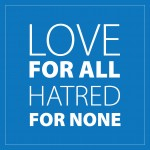 AMYA, which is part of the Ahmadiyya Muslim community, is the UK’s largest Muslim youth organisation and charity with 7,500 young British members and more than 1,000 of them took part in this event across the UK. Abdul added: “This is something we do every year. Cleanliness is a big part of our faith, as is serving the community.